Faced with aging audiences, some Canadian arts and culture institutions are turning to pop culture-inspired and millennial-friendly programming in a bid to attract new ones. But if they build it, will the right audiences come? Few have been as successful as the Art Gallery of Ontario at getting people to notice what’s going on behind its walls. Since Cundari was named AOR in 2015, the AGO has adopted a research-led approach to developing campaigns that add a layer of branding to its exhibits. The “Yayoi Kusama: Infinity Mirrors” exhibit, running until May 27, is an example of this new strategy. 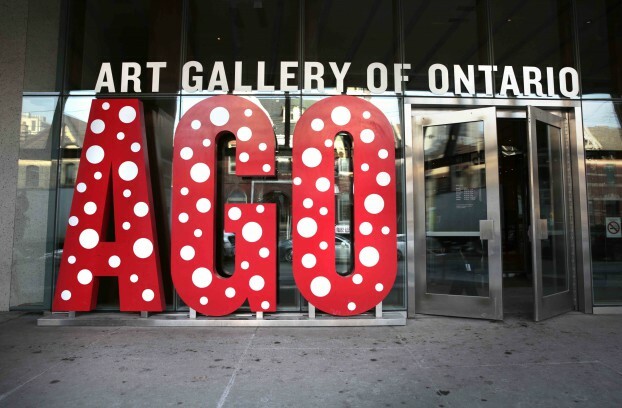 Research showed that, while only 5% of people in the GTA knew of Kusama, desire to attend the exhibit went “through the roof” when focus groups were shown her work, Steve Rayment, the AGO’s director of marketing tells strategy. So the gallery crafted its media strategy accordingly. Although the AGO’s paid campaigns usually begin a month in advance as tickets go on sale, it went with a “front-loaded approach” for “Infinity Mirrors,” says Rayment, promoting the launch on social three months ahead of its March 3 debut. When member-only tickets went on sale in December, the response was unprecedented. Many waited up to eight hours for phone/online orders. In January, thousands flocked to the AGO’s website, hoping to claim one of 30,000 tickets. Today, Rayment says exhibition campaigns are developed through the lens of creating “meaningful experiences through great art, access and learning.” For example, advertising for “Guillermo del Toro: At Home with Monsters” (which celebrated the filmmaker’s work) gave the exhibit its own look and feel while adhering to that goal of making art accessible, says Sean Barlow, CCO at Cundari. The exhibit’s “Inspiration is a Monster” campaign (which helped the AGO surpass single-ticket attendance goals by more than 67%) featured monsters from del Toro’s work, such as Hellboy andPan’s Labyrinth. The characters delivered a wider message about the nature of creativity, and were seen across platforms, including cinema pre-show ads. The gallery also personally invited members of horror and science fiction fan clubs online.